Why is Post Remediation Verification of Mould Important? The Australian Mould Guidelines state the goal of mould remediation is not to sterilise surfaces but to return surfaces to their normal state before contamination. Australia does not currently have any national standards regarding acceptable mould levels however the Australian Mould Guidelines outline acceptable industry practices (they state that they have the intention of eventually becoming an Australian standard) as do the Standard & Reference Guide for Professional Mold Remediation by IICRC S520. Post-remediation verification, both visual and analytical, serves to confirm that a mould remediation job has been carried out effectively and that a return to a pre-mould environment has been achieved. Which criteria are used to verify that mould remediation has been successful? total spore count reduction – return to spore count typical of normal fungal ecology indoors. A spore count below 2,000 c/m3 generally represents a normal mould/fungal environment, however this will vary depending on the location and other factors. indoor work area air sample – balance of airborne fungal spores found inside the containment area when compared to fungal spores found outside the containment area (outdoors or outside work area). Each type of mould in the post-remediation sampling should not be over 100 c/m3 compared to the the outdoor air testing results for that genus/species of mould. 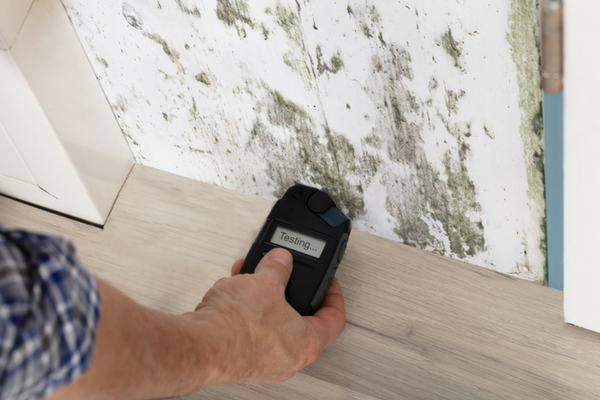 indicator mould species levels acceptable – indicator mould species are symptomatic of water damage and are often precursors for the growth of other types of mould. The levels of Aspergillus/Penicillium should be less than 200 c/m3 following mould remediation. absence of target fungal types in the containment area sample – post remediation sampling should show no levels of target fungal species (which are zero tolerance organisms) such as Stachybotrys, Trichoderma, Fusarium, Memnoniella, and Chaetomium. What happens if one or more of these criteria are not met? If all of these criteria are met, the mould remediation can be considered to be successful and no further remediation is required. On the other hand, if any of these criteria have not been met, further mould remediation is recommended. Alpha Environmental offer a range of mould-related and environmental consulting services including post remediation verification. Speak to our mould remediation experts today on 1300 039 181.